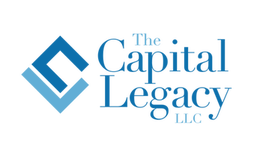 The Capital Legacy, LLC is a full-service, independent financial firm committed to helping people toward achieving their financial goals. Susan Allen and Chris Tamagno offer a wide range of financial products and services to individuals and business owners. By providing sound financial information, we believe you will be better able to identify your goals and make sound decisions to help reach them. Our independence enables us to establish working relationships with a an industry-leading independent brokerage firm and a number of insurance providers whose products we leverage to create customized client portfolios. We recommend only those products and services that can be tailored to suit our clients' unique needs. Please call us at (215)860-8400 if you have any questions about our firm or the range of financial products and services we provide.